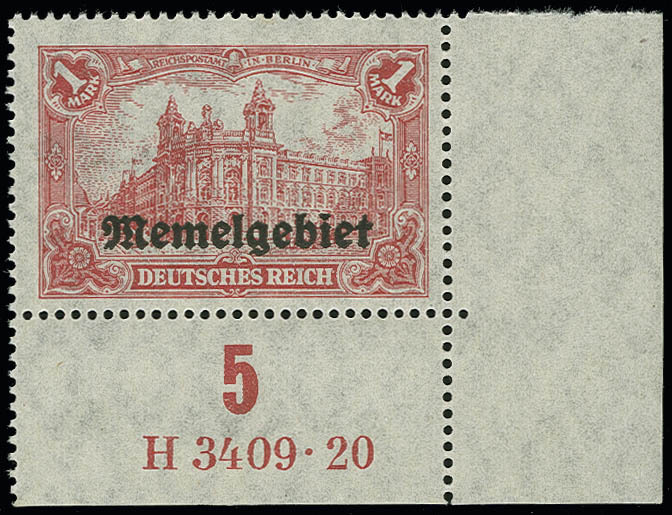 Memel, 1 M., printing error on original stamp German Empire Michel-no. 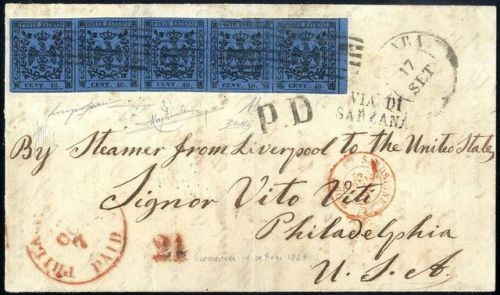 A113a from the right lower corner of the sheet with Original-HAN “H 3409 20”, mint never hinged, not signed, in the right exterior corner of the sheet with small stick (not in the HAN!) otherwise in perfect condition; one of the large rarities of the area, with this piece becomes for the first time a piece with Original-HAN on an auction offered, in detail certificate with photograph Huylmans BPP. 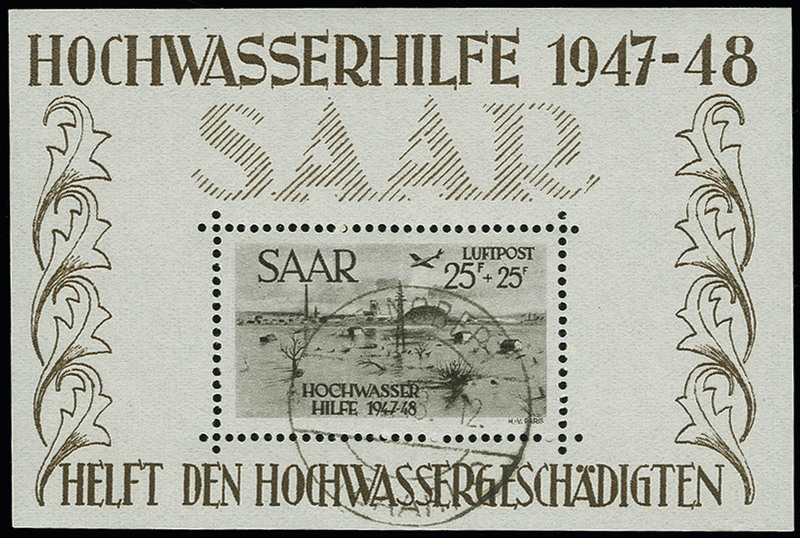 Saar flood souvenir sheet 2, neat cancelled “St. INGBERT 18. 12. 48”, perfect, certificate with photograph Ney.